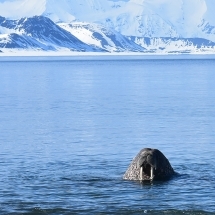 Spitsbergen’s vast fjords, untouched mountains and unique wildlife offer travellers plenty to focus the eye on especially if viewing from the sailboat. But what if the sailboat was as picturesque as the landscapes itself? 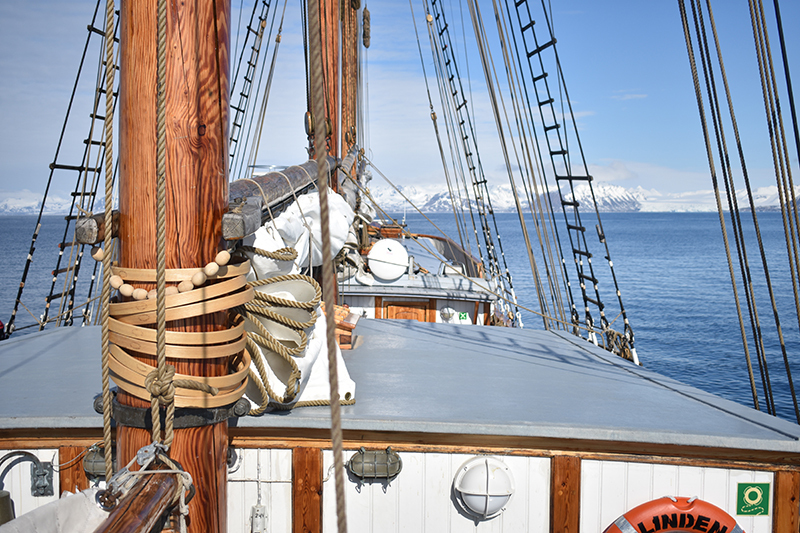 S/V Linden, an imposing three masted wooden schooner, sails the many arms of Isfjorden enhancing the view with her ice-strengthened hull and 365 square meters of sail. 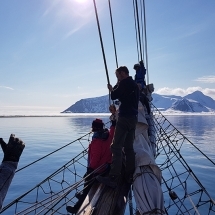 On this weekend expedition cruise from Longyearbyen, guests are transported not only to Svalbard’s remote fjords, glacier fronts and wildlife viewing areas, but to another era of romantic sailing. Arrival to Longyearbyen before midday. We’d recommend arriving a least a day in advance to ensure you give yourself plenty of time to join the expedition and enjoy all that Longyearbyen has to offer. Why not join one of our land guided excursions, or perhaps explore the town of Longyearbyen with its polar influence. In the afternoon, you’ll transfer to the harbour where Schooner Linden awaits. The expedition begins with a safety briefing in the lounge, also a good time to get to know the crew and the fellow passengers, of which there will be a maximum of 14. Your captain and expedition leader will check the latest ice charts and finalise the route. If the wind is favourable, they will hoist the sails and head for the pristine waters of the Isfjorden. Due to the presence of the Gulf Stream, the fjord remains relatively ice free for much of the year, although occasionally it also carries tons of drift ice into the fjord or some sea ice is left behind in early Spring. So if there is significant sea ice, the route may be changed accordingly. 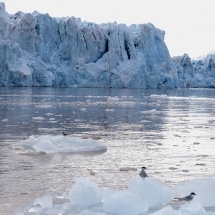 It’s time to scan the sea, ice, mountains and tundra for wildlife. 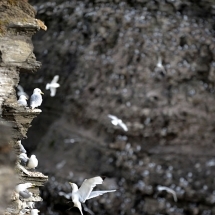 With luck, you may view polar bears, walrus, Arctic fox, Svalbard reindeer and the Ivory gull. With little or no darkness, there will be plenty of time to look out for signs of wildlife. After this evening’s welcome dinner with your captain, you’ll witness the cacophony of shrieks coming from the bird cliffs. 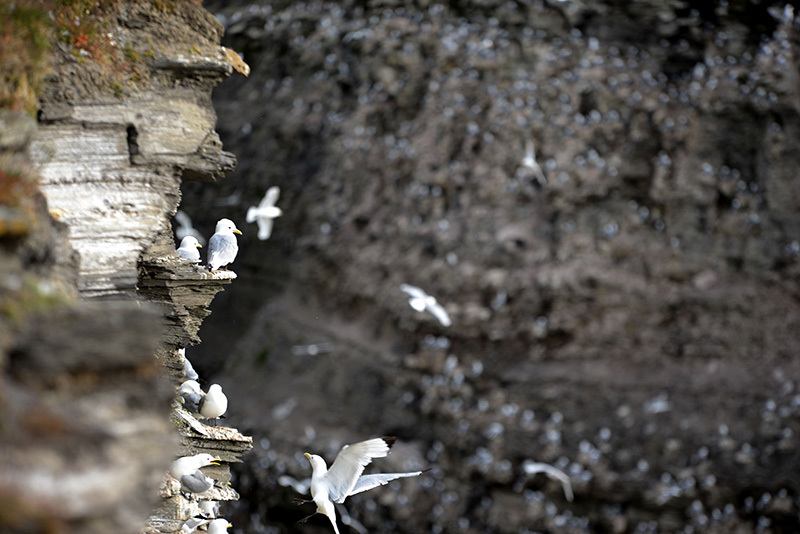 Here thousands of Brunnich Guillemots come to lay a single egg on the narrow cliff ledges. 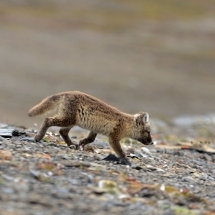 You may have time for a hike on the tundra and you may view the Arctic fox foraging for birds and eggs below the cliffs. Enjoy your first night on board S/V Linden. 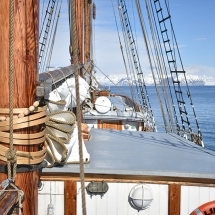 S/V Linden has an impressive length of 50 metres and is the largest wooden ship in Scandinavia. 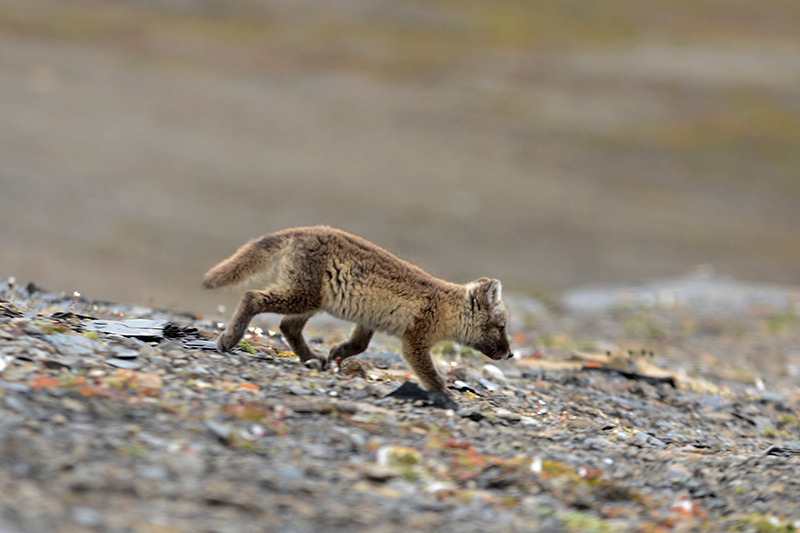 There are spacious outdoor viewing decks providing a full 360 degree view of Svalbard’s landscapes and the opportunity to photograph wildlife almost at eye level. For those brave enough to climb the mast, you can spot wildlife even further away. Inside the ship there are two comfortable lounges with windows where meals are served and guests gather for lectures and socialising. The timber ship comes with a total of seven cosy cabins with bunk berths. 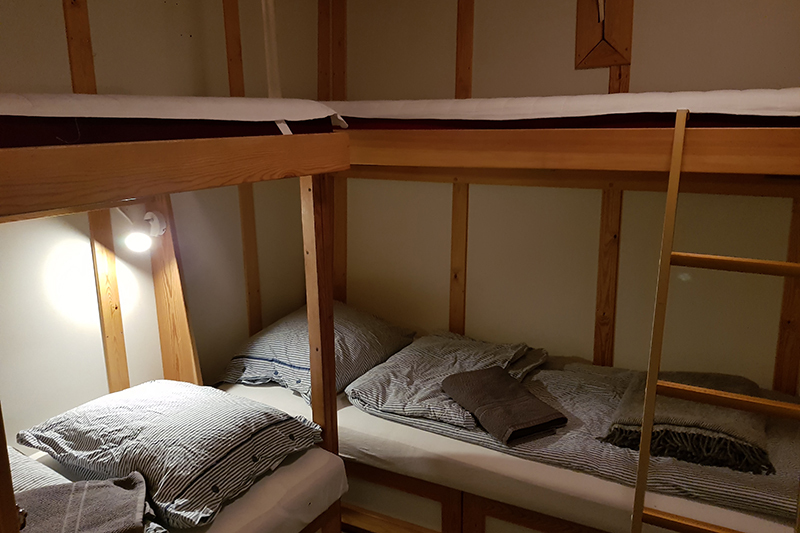 Many of the bunks can be turned into sofas. 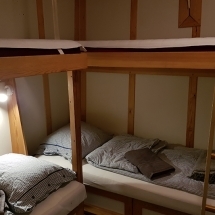 Five of the cabins have private facilities and two cabins have shared bathrooms in the hall. All rooms are inside cabins. Linden was built in Finland in 1993, and naturally there is a Finnish sauna on board for guests’ enjoyment. The crew of S/V Linden serve fresh and locally inspired dishes. Some of the ingredients will have been gathered en route to Svalbard as the ship docks in ports along the Danish and Norwegian coasts. Expect some references to polar exploration as the crew recreate versions of some of the menus of explorers and trappers. This morning you’ll wake up outside a remote outpost. On first glance you may think it looks like a radio station or military base, but venture closer and you’ll be delighted to discover that this former radio station has been converted into a luxury retreat. Your guide will invite you for a 2-3 hour hike in the nearby surroundings after which you can enjoy a relaxing sauna in Isfjord Radio Station. The kitchen at Isfjord Radio Station is headed up by a Michelin star trained chef who’ll serve you some refreshments and a bite to eat before you rejoin the ship. This afternoon, your captain will continue exploring the fjords looking out for signs of wildlife such as walrus colonies which gather on the beaches. You’ll continue by sail or engine depending on the wind conditions. 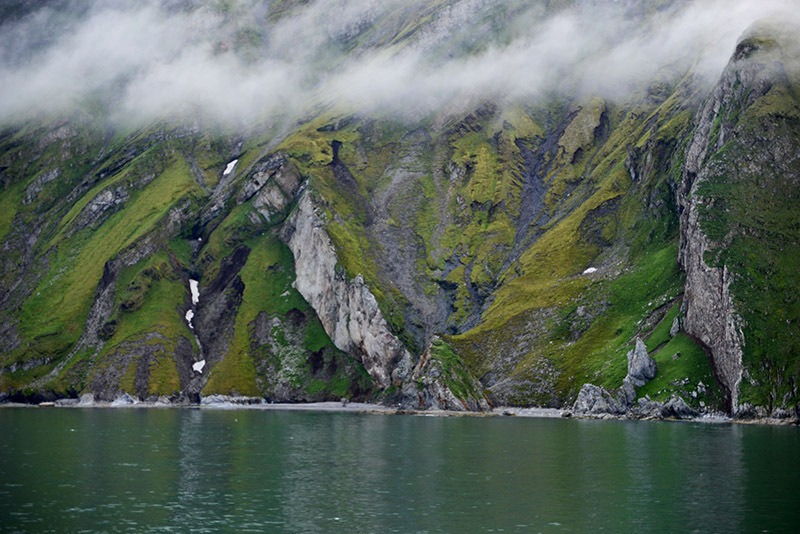 Today you’ll awaken to yet more stunning views of wilderness and shimmering glacier fronts. 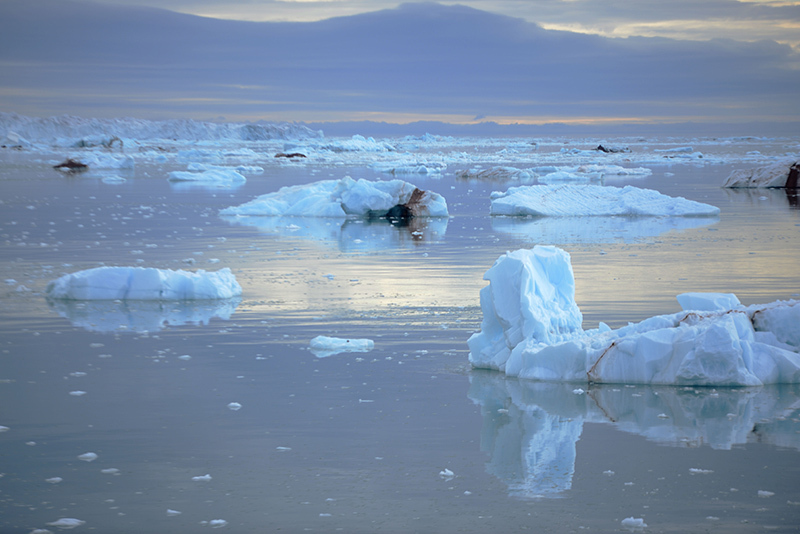 As you grow accustomed to nature’s silence, you’ll realise that it is not so silent as it seems as there is a continual fizz and pop coming from the glacier as the melting ice releases trapped air bubbles. And sometimes this all comes to a crescendo as the glacier roars, calves and releases its load into the ocean beneath. 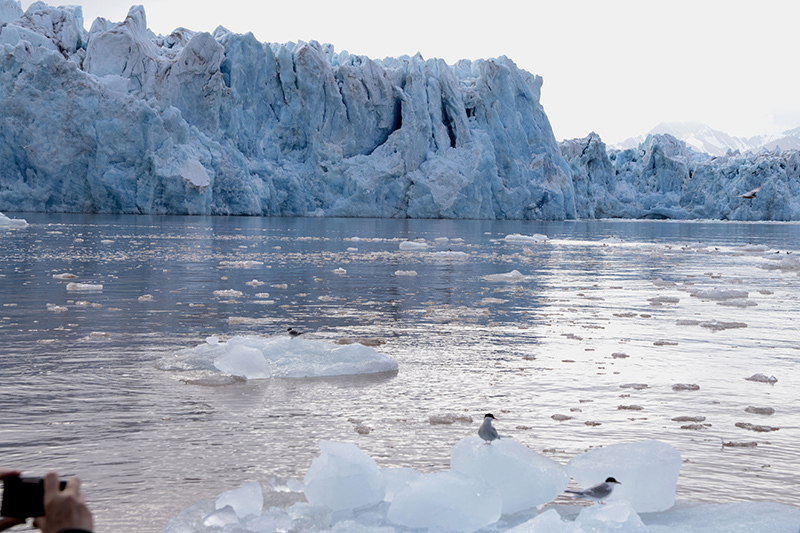 You’ll experience the millions years of geological history that Svalbard is famed for in search of fossilized wildlife some dating back to Jurassic times. The largest fossil find in these parts was the fearsome pliosaurus, a 15 metre long carnivorous marine reptile. Your final lunch and opportunity to view the Beluga whale which frequents the waters en route to Longyearbyen. This afternoon you’ll bid farewell to your fellow passengers and crew as you return to Longyearbyen for your final night of the trip. You’ll stay at the boutique Basecamp Hotel in a trapper style room. Today it is time to depart Longyearbyen and transfer to the airport for your return flight. If you'd like to extend your trip, get in touch and we'll be pleased to put together a package for you. This expedition cruise is also available as a longer five day trip. Please get in touch with our team to find out more and departure dates for the coming seasons. 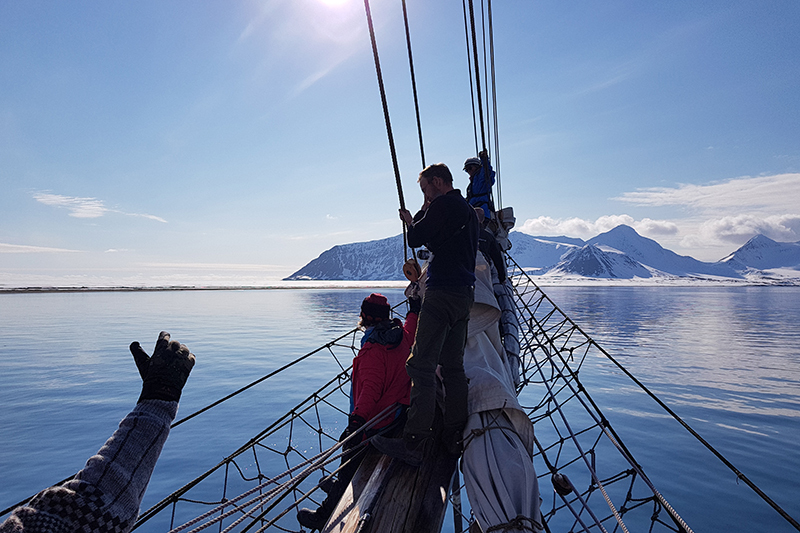 Although this trip is considered a summer expedition cruise, it begins at the end of Spring in Svalbard from the end of May. This means that there can be varied sailing conditions and wildlife depending on when you join the trip. In May and June, there can still be sea ice in the fjords which means a better chance to view polar bears but this can limit access to some of the fjord arms. By July, fjord and sea conditions are more reliable, and it’s possible to see chicks jumping their nests for the first time. By late August the light of the low midnight sun casts a magic spell over the Arctic scenery. The wind starts picking up as well, and this is not a bad thing if you live onboard a sailing ship. Flexibility is key for this trip. We have provided an itinerary as it is planned. 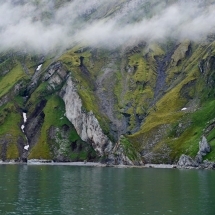 However, weather conditions play a part in the ship’s course through the fjords. 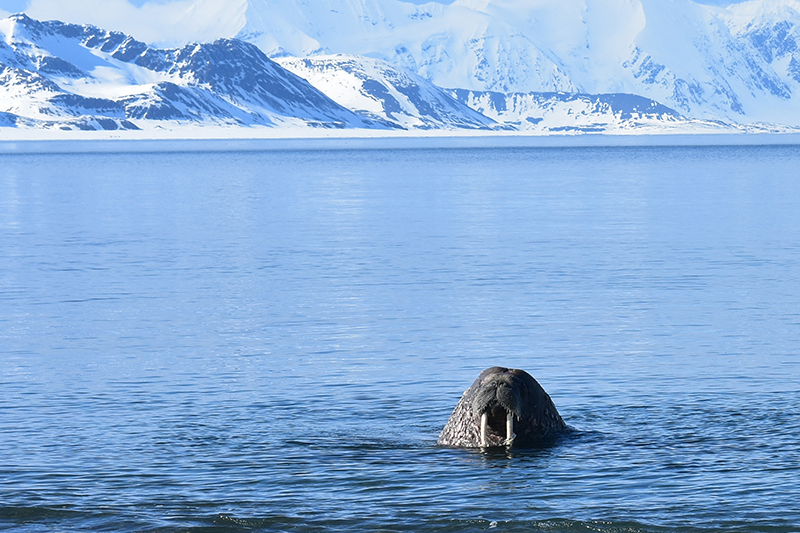 We can’t guarantee you’ll view wildlife nor enjoy the itinerary in its entirety but you can be sure that the crew will be working tirelessly to give you a trip of a lifetime and the best chance possible to view Spitsbergen’s great natural beauty. This small ship cruise is available between the end of May and mid September. Get in touch with our team to find out more and to check availability.